Paul McShane and Jamie Shaul are chasing James Roby to be at the top of the Man of Steel leaderboard after round three of Super League. 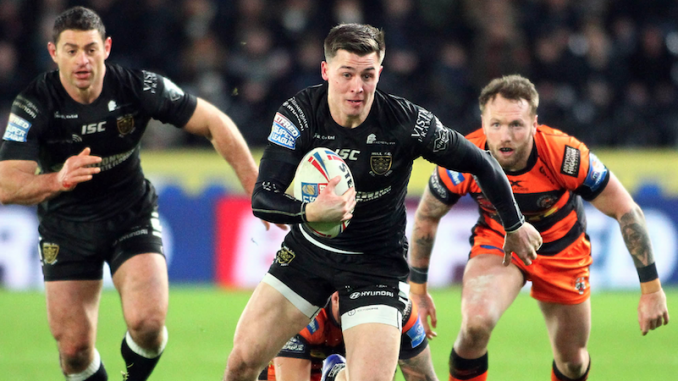 A member of the Steve Prescott Man of Steel panel will watch every Super League game in 2019 and award points to three outstanding players: three points for their chosen standout performer, two points for the runner-up, and one point for their third ranked player. Danny Brough (3), Matty Ashurst (2), Bill Tupou (1). Blake Austin (3), Ryan Atkins (2), Josh Charnley (1). Alex Walmsley (3), James Roby (2), Konrad Hurrell (1). Robert Lui (3), Ken Sio (2), George Lawler (1). Jake Trueman (3), Paul McShane (2), Peter Mata’utia (1). Jamie Shaul (3), Danny Houghton (2), Marc Sneyd (1).